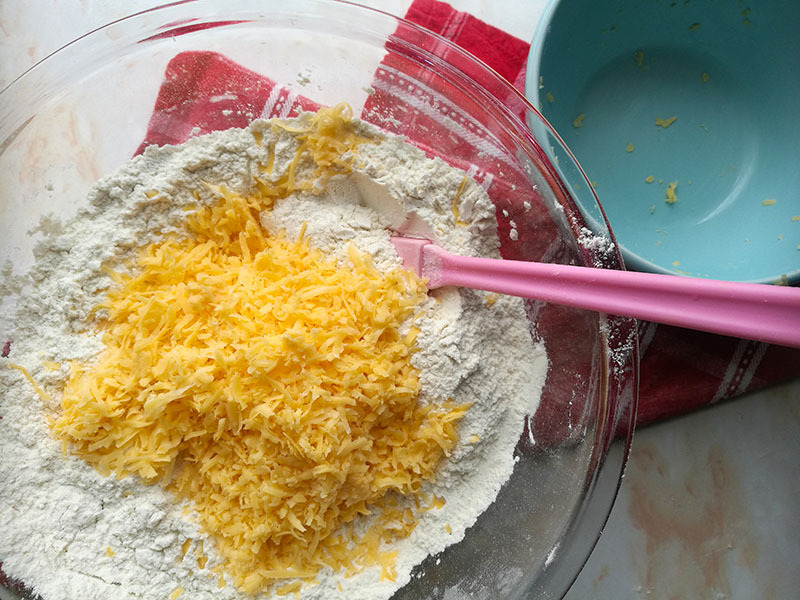 Made using just 5 ingredients, this Easy No-Knead Cheese Bread is an absolutely simple and effortless bake. All you need is a bowl and a spoon to mix the ingredients together. No special mixers needed. 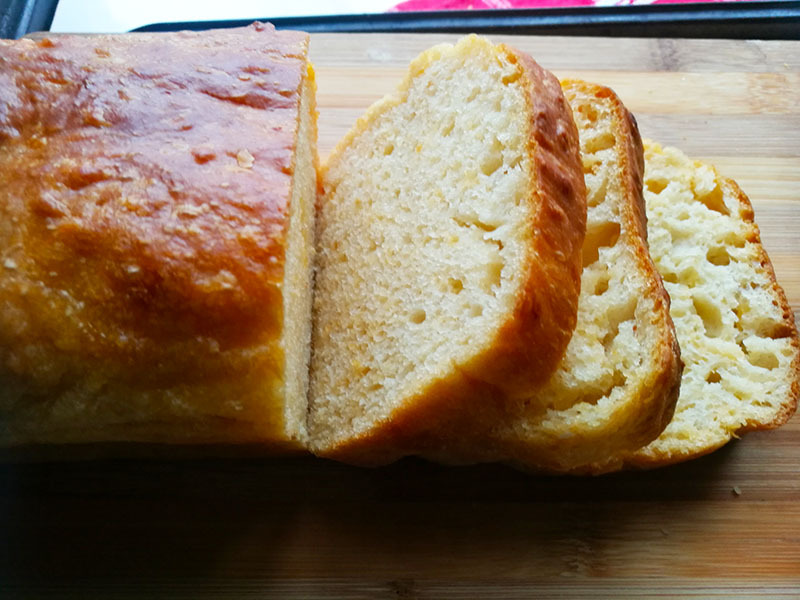 Leave to rise, bake and get ready to enjoy your very own bakery-style cheese bread!!! This is truly my easiest bread recipe. 5 ingredients just mixed in a bowl and left to rise for 45 minutes. Then emptied into a baking tin, no kneading, no rolling, no shaping. Baked for 35 minutes and then dive in, to enjoy hot freshly baked bread. This is bread baking at its easiest and best. 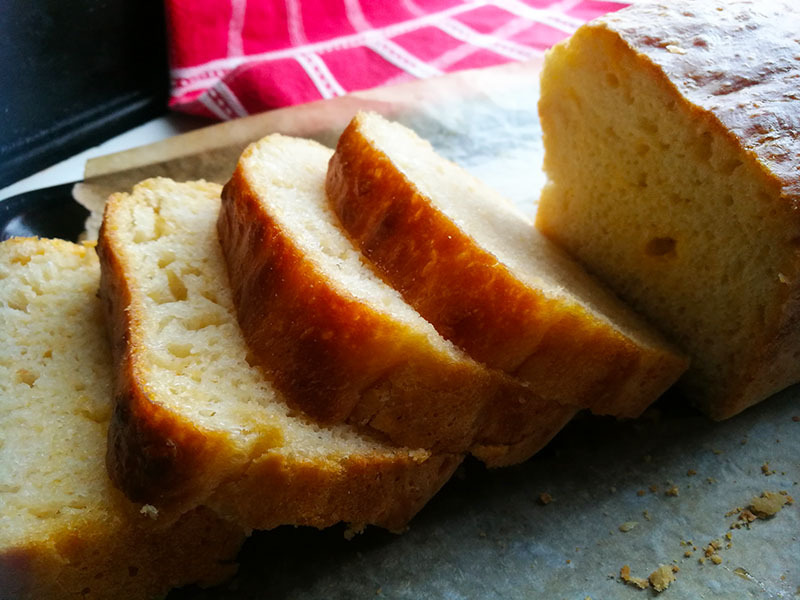 If you enjoy making your own bread or have always wanted to make your own, then this is such a delicious recipe for you. It is made with basic ingredients which you probably have in your kitchen right now. 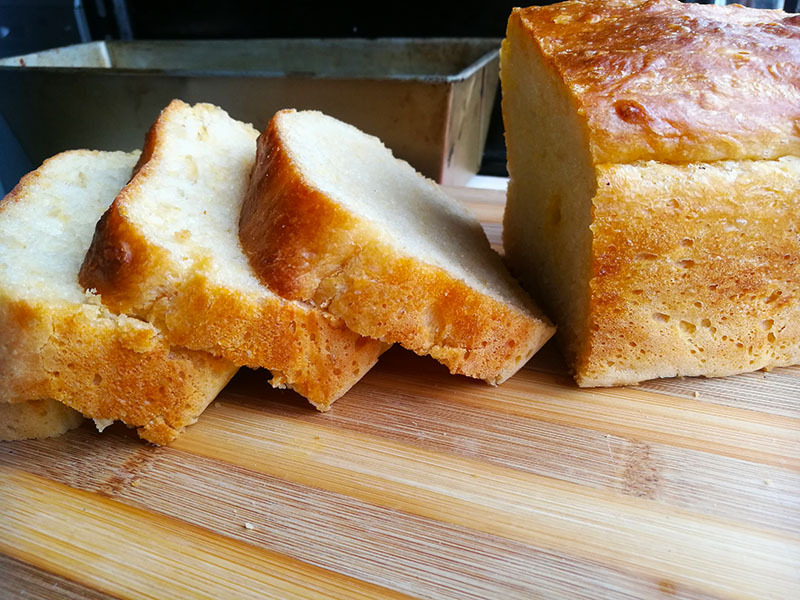 These simple ingredients create a soft fluffy bread on the inside with a golden rustic crust. Perfect to eat with just a spread of butter or to mop up your favourite gravy or soup. This is one amazing bake. Super easy to make, the flour, instant dry yeast / fast acting yeast and salt are combined in a bowl. Mix in the cheese and add the water. Stir until well combined. The mixture will be sticky, and that is fine because you are not going to be kneading this dough. Cover with a kitchen towel and set aside for 45 minutes until the dough has doubled in size. After 45 minutes, Grease and line a 9×5-inch / 23 x 13 cm loaf pan.loaf pan with parchment paper/baking paper. Transfer the dough to the lined loaf pan and leave to rise for another 15 minutes. Bake in a preheated oven of 356°F / 180°C for between 30 to 35 minutes. Allow the bread to cool in the pan for 10 minutes before removing. Cool slightly before slicing and serving. 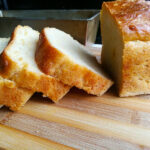 That’s it, basic ingredients and an easy method to create a delicious loaf of homemade cheese bread. 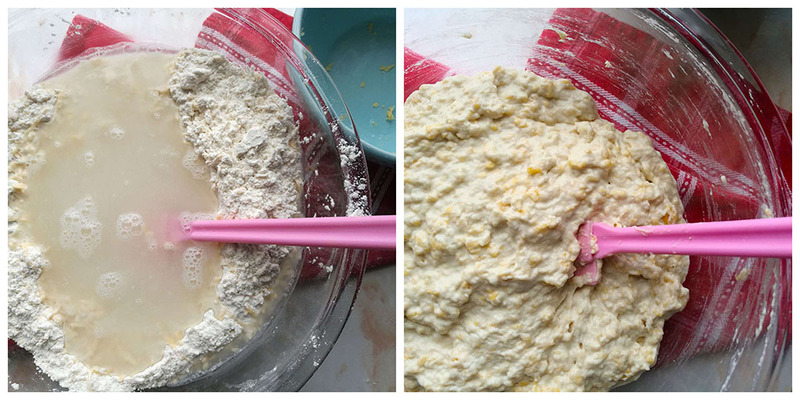 Using a large bowl, combine the flour, yeast and salt. After 45 minutes, Grease and line a 9x5-inch / 23 x 13 cm. loaf pan with parchment paper/baking paper. 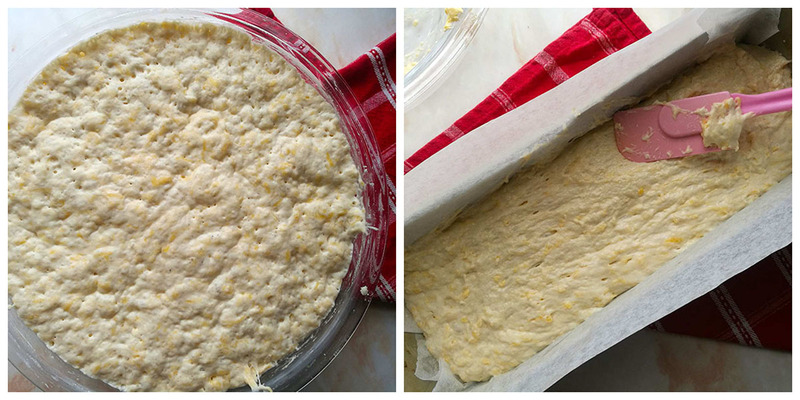 Transfer the dough to the lined loaf pan and leave to rise for another 15 minutes. The texture on this bread looks amazing. I am such a sucker for bread….and then with cheese in it?! Yes please!! You always have the best bread recipes! This looks amazing, Ashika! Nothing better that flavours releasing when home made bread is taken out of the oven ! 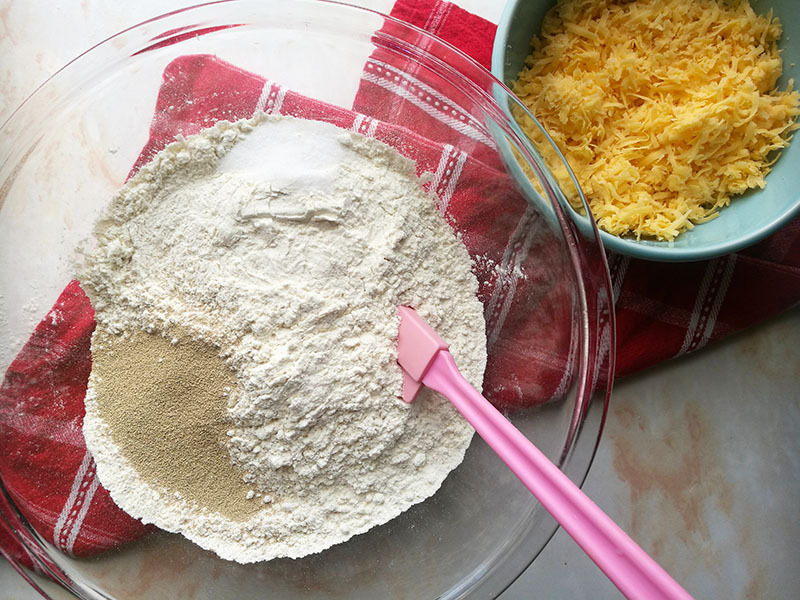 I’m all up for simple recipes Ashika and when you mentioned earlier on that this cheese bread was only made from 5 ingredients you had my attention straight away! And I know that as cheese is one of her most favourite things, Lynne will absolutely love this! Thanks for this recipe!